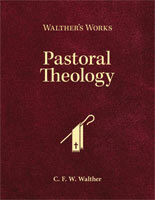 For the first time, the complete text of C. F. W. Walther’s American-Lutheran Pastoral Theology is available in English. In this masterful work, Walther explores the “how” and “why” of the pastoral office, from its basis in Scripture to its activity in the daily lives of God’s people. Walther offers pastors guidance collected from Scripture and the Confessions, as well as from the writings of Martin Luther, the Church Fathers, the orthodox Lutheran Fathers, and the best of his contemporaries. He explores all facets of the ministry, from personal preparation through reading and meditation to sermon preparation and delivery, the call process, the proper use of the Sacraments, pastoral care of congregation members, church administration, and so much more. The readable translation by Christian C. Tiews (who also translated Walther’s Law and Gospel) is fully annotated and introduced by David W. Loy so that readers can grasp Walther’s language and situations and apply them to church work today. Thesis: Pastoral theology is the God-given (θεόσδοτος), practical disposition of the soul, acquired (acquisitus) by certain means, by which a minister is equipped to perform all the tasks that come to him in that capacity validly (rato), in a legitimate manner (legitime), to the glory of God, and for the advancement of his own and his hearers’ salvation. Comment 1: Pastoral theology, like theology in general, can be reckoned to the category of the disciplines, and even a certain kind of book bears the name. 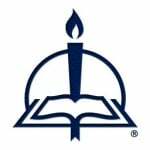 However, what is called pastoral theology in these cases is such in an only improper, relative sense, that is, only in a certain relation, under certain circumstances, in an accidental manner (per accidens), namely, when taught or when recorded in a written work. Before this can happen, however, it must already be present in the soul of a person. However, since understanding a matter requires primarily knowing what it actually, absolutely—that is, apart from all relations and accidents—essentially and originally (principaliter) is, we, along with the older, orthodox teachers of our church, begin with the definition of pastoral theology as it is constituted when viewed subjectively or concretely, that is, as it inheres in a subject or a concrete individual who is rightfully called a theologian. For that reason, we do not call it a discipline or a book, which it is in an only metonymical sense (that is, according to the figure of speech in which an effect bears the name of its cause or a container the name of what is contained in it), but rather a disposition. Comment 2: First, when we call pastoral theology a disposition, this is to show that it is not simply an aggregate of known facts, but rather a disposition or quality of the soul, a proficiency that transforms it with respect to its object. This should suggest right at the beginning the concept of that “skill” (ἐξάρτισις) and “fitness” (ἱκανότης) which the apostle requires of a minister when he writes: “that a man of God” (a theologian, according to Luther, Walch 5:1086f.) “may be complete, equipped” (ἐξηρτισισμένος) “for every good work” (2 Tim. 3:17) and “that we are sufficient” (ἡ ἱκανότης ἡμῶν = “our sufficiency”) “is from God” (2 Cor. 3:5). . . .
Second, when we call pastoral theology a practical disposition, this is to show that it is not a theoretical disposition, not a science, which has knowledge as its final goal, and that it is not practical merely in general on account of its goal—which, like the goal of theology in general, is to lead the sinner to salvation through faith—but also in a narrower, eminent sense on account of its special object, which consists of the practice, the activity, or the official acts of a minister—in a word, of ecclesiastical ministry (ministerium ecclesiasticum)—in accord with the apostolic requirement already cited that a man of God be equipped from God’s Word “for every good work” pertaining to his ministry, namely, as the immediately previous verse says, “for teaching, for reproof, for correction, and for training in righteousness” (2 Tim. 3:16–17). . . .
Third, when we call pastoral theology a God-given practical disposition, this is to show that it is a supernatural disposition obtained not though human strength and human effort but only through the working of the Holy Spirit; it has justifying faith as a prerequisite; and only one who stands in grace, who is born again, can have it. As the apostle expressly says: “Who is sufficient for these things? . . . Not that we are sufficient in ourselves to claim anything as coming from us, but our sufficiency is from God, who has made us sufficient to be ministers of a new covenant” (2 Cor. 2:16; 3:5–6). . . .
Fourth, when pastoral theology is called a disposition acquired by certain means in our paragraphs, this is to show that we are not dealing here with the extraordinary theological disposition which was bestowed on the apostles and prophets through immediate enlightenment and provision, but with one which, although effected by the Holy Spirit, is nevertheless acquired mediately, which the apostle has in mind when he writes: “Devote yourself to reading. . . . Do not neglect the gift you have, which was given you by prophecy with the elders’ laying on of hands. Practice this, immerse yourself in it, so that your progress in all things is manifest. Keep a close watch on yourself and on the teaching; persist in these articles. For by so doing you will save both yourself and your hearers” (1 Tim. 4:13–16). Ludwig Hartmann therefore writes: “What Tertullian once rightly said about Christians—that they are not born but made (Christiani non nascuntur, sed fiunt)—is also true concerning faithful ministers and teachers of the Church, who require a long preparation and an extensive course of study if they are to enter such a lofty ministry suitably. For here, mere personal reputation or seriousness and holy living are insufficient; rather, theological knowledge is required as well” (Pastorale ev., Nürnberg, 1697, p. 237). Finally, the apostle tells us that the general and specific goal attributed to pastoral theology in its definition really belongs to it when he says, “Whatever you do, do all to the glory of God” (1 Cor. 10:31) and “by so doing you will save both yourself and your hearers” (1 Tim. 4:16). Amended from C. F. W. Walther, American-Lutheran Pastoral Theology, pages 7–12. © 2017 Concordia Publishing House. All rights reserved.